Looking for Will Format (Sample WILL Template)? Here we are providing you some sample template, sample Will format which can be drafted as Wills to decide estate planning. Starting from What is Will, how many witnesses we need, online will (e-will) Provider list and process to register e-will, we include everything on this post about wills. What is Will and why we need to prepare Will? Will is (in simple word) Estate planning about who will receive what after you die. What will happen to your property, will your son/wife/daughter receive any share from your property or not, to clarify things in advance is called Estate planning. When people write it down on a legal paper about their estate planning, that legal paper is called will. Will can be on stamp paper or any other paper which have your signature and instructions. 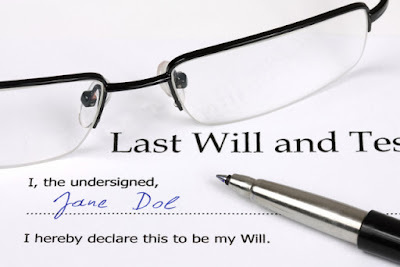 Most of people (mostly big billionaires) draft their will in advance and hand over it to their trusted person or legal advisor, and after person’s death, the will opened and estates are distributed/allocated as per the will. Why we need to draft Will? Because, if the will is not drafted, it can be a lengthy legal process to decide person’s estate. For example Dhirubhai Ambani (father of Mukesh Ambani), Picasso, Abraham Lincon are great examples who didn’t prepared will and their child fought legal betel for their property. So, for Smooth transfer of your will, to avoid legal battles between your children’s, to take control of your assets, it’s important to Draft Will. How much it cost to prepare / Draft a will? The Will preparation process is not as difficult as we assume. Mostly people call their lawyer and prepare their will. In that process, Lawyer in india may charge up to Rs.15-20k to draft will. (Now online e-will can be done on less than that). While you declaring or drafting your will, you need to mention some important things about your will, below we have mentioned some of the important things which need to be mentioned (for better clarity) at the time of drafting will. Do check it and mention things without forgetting. Your personal Details: - It is necessary to mention your full name (including your father name), your date of birth, and your permanent address. your draft will must start with your personal details. Date of declaration: - Do mention clearly the date your are drafting your Will. So, it can be helpful to validate it. Validate free Will: - Mention clearly in starting of draft will that you are not under influence of any person or situation and you are preparing will as per your wish. Name of the executor: - It is necessary to mention the name of executor who will execute your will as per your instructions. Provide full name, address, and contact details of the executor. Details of your Assets and Beneficiaries of assets: - You must need to mention that which property/assets and their Beneficiaries after your death. Signature: - Your signature at the end of your drafted will with date of writing. Signature of witness: - You must have signature of 2 witnesses on your Will. Your witnesses must sign below will with full name and address. Here we are providing the 2 sample will format which will help you to draft your will. These sample draft template is available in PDF as well as in Document format. Click here to download Will Format (Will Template) in document format. As we mentioned above, now you no longer need to depend on lawyer and pay them high fees. Blow is mentioned list of portals which provide E-WILL service at Rs.4000/- only. Yes, its almost 80% cheaper than lawyer’s fees. Do check out online will drafting service. As of now we have 4 will service provide who provide you will drafting and all other service related to will. In second article of Will, we will discuss in detail about how to prepare will online.